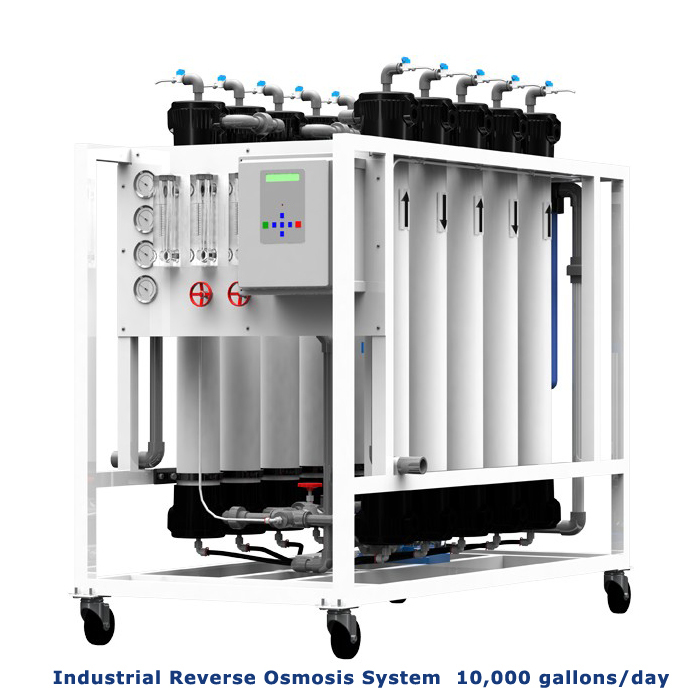 Commercial / Industrial Reverse Osmosis System that produces 10,000 gallons per day or more. 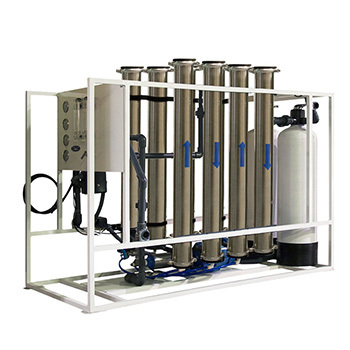 Membranes: (6, 8 or 10) 4" x 40" TFC HF1 Membranes, for maximum rejection of impurities and high flow. 6 membranes - 10,000 gallons , CQE-CO-02031 . 8 membranes - 15,000 gallons , CQE-CO-02032 . 10 membranes - 20,000 gallons, CQE-CO-02033 . 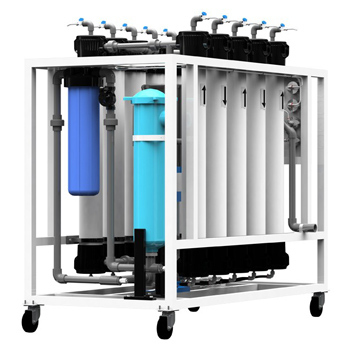 Membrane Housing: Six (eight or ten) 4" x 40" Champ membrane housings, Features a patented design and requires no tools for servicing. 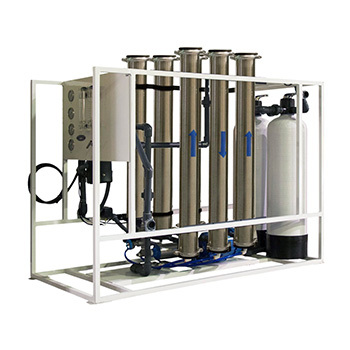 Pre Filtration: Two Media tanks with manual backwash , one with Sediment/Turbidity media , second with Granular Activated Carbon media. 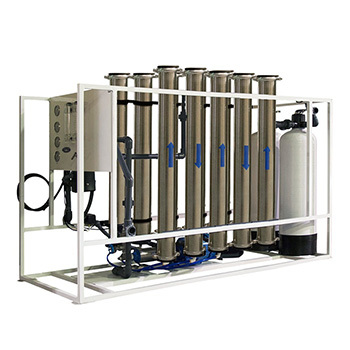 Stainless Steel Housings: (6, 8 or 10) 4” x 40” PuroTech stainless steel membrane housings, 1/2” NPT. Minimum Na Cl rejection: 96%.